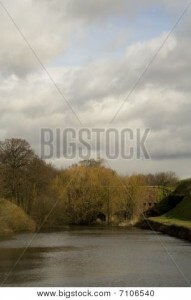 Just a quick update on my continuing journey through the world of stock photography. A few weeks ago I got a second-hand lens, the Canon EF 35-105mm F/4.5-5.6, and I've submitted a couple of images that I took at Fort Brockhurst to Istockphoto and Bigstockphoto. Both of the following images were accepted by Bigstockphoto straight away, but as usual Istockphoto had some issues with one of them! 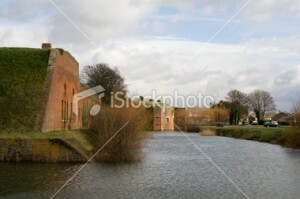 However, "Fort Brockhurst, View Across Moat To Central Caponier", wasn't good enough for Istock. "This file contains artifacting when viewed at full size. This technical issue is commonly created by the quality settings in-camera, in post-processing, in RAW settings or scanner settings. Artifacting can also be introduced into an image from the result of other factors such as excessive level adjustments." Hmmm. Another one I'm a bit skeptical about. Both photos were taken with the same lens, in the same light, with the same settings and post processing, at about the same time. Take a look at the original. Looks fine to me! Ah well, this is all part of the experience of shooting stock, so its time to take a deep breath, focus on the successful image, and carry on!